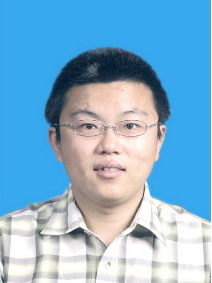 The research interests of Guoliang Li include crowdsourced data management, large-scale data cleaning and integration. He got VLDB 2017 Early Research Contribution Award, TCDE 2014 Early Career Award, CIKM 2017 Best Paper Award, KDD 2018 Best Papers, ICDE 2018 Best Papers, DASFAA 2014 Best Paper Runnerup, APWeb 2014 Best Paper Award, EDBT 2013 Similarity Join and Search Champion. He regularly served as PC Member of SIGMOD, VLDB, ICDE, KDD, WWW. He is serving as associate editor for IEEE TKDE, VLDB Journal, IEEE Data Engineering Bulletin, BigData research, and FCS. Dec 2018 - Now. Professor, Dept. of Computer Science and Technology, Tsinghua University. Dec 2012 - Nov 2018. Associate Professor, Dept. of Computer Science and Technology, Tsinghua University. Jul 2009 - Nov 2012. Assistant Professor, Dept. of Computer Science and Technology, Tsinghua University. Sep 2017 - Sep 2018. Visiting Professor, MIT (Profs. Michael Stonebraker, Samuel Madden). Feb - Jun, 2008. Intern Research Assistant, University of California, Irvine (Prof. Chen Li). Apr - Nov, 2006. Intern Research Assistant, NUS (Prof. Beng Chin Ooi). Sep 2004 - Jul 2009. Ph.D, Dept. of Computer Science and Technology, Tsinghua University, Beijing, China.